I'm sitting in a small restaurant at this small Spanish airport waiting for my plane to London. It has been by far the best week in last few years, and I'm still packed with endorphins. Few minutes ago I talked to another finisher, from 75 - 79 age group. 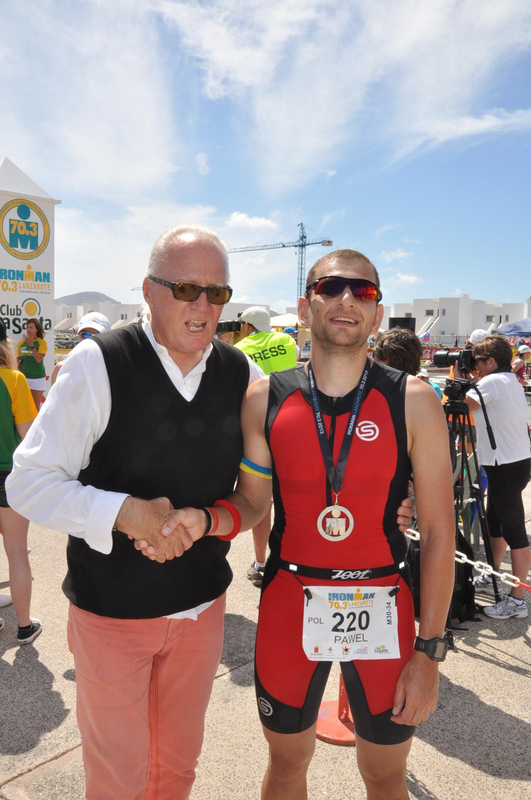 He has done his first Ironman when I was 2 years old. I wonder if I'm going to be racing in 45 years. 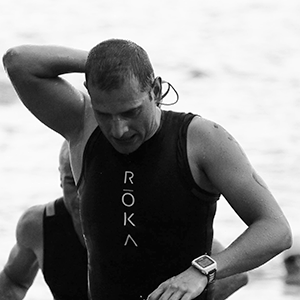 For now I've done my first half Ironman distance race. 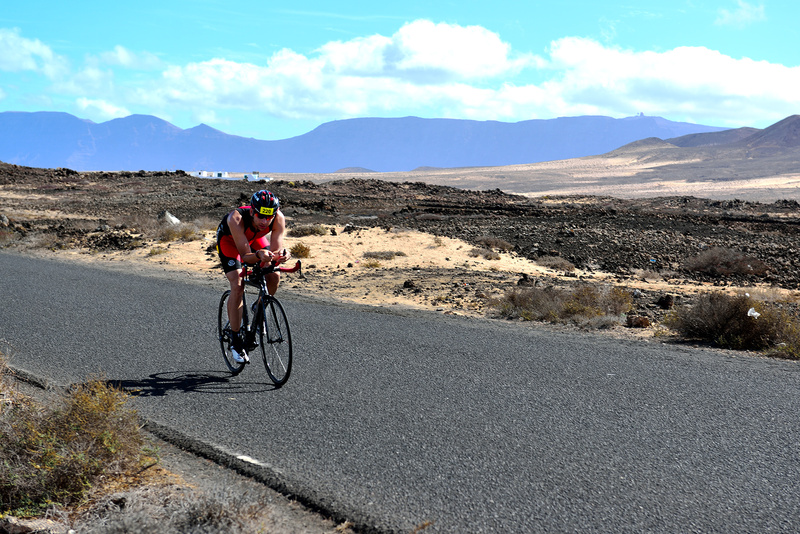 I swum 1.9, cycled 90 and run 21 km on hot roads of Lanzarote. 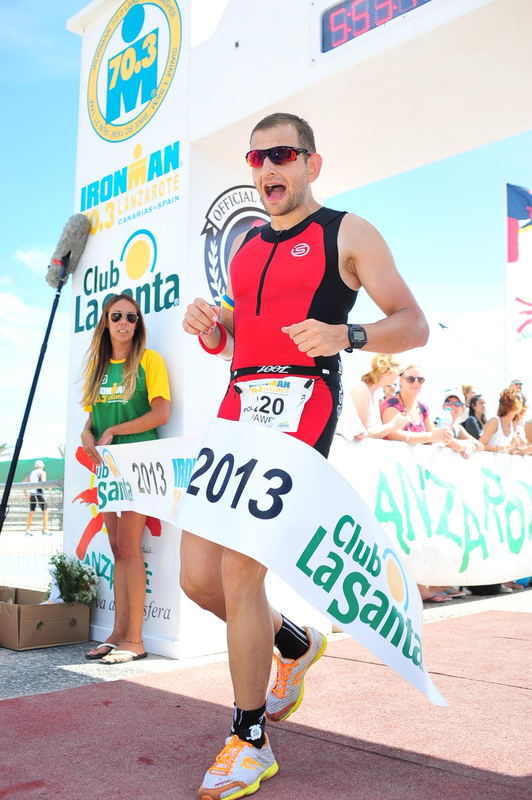 When I picked up this race few months ago I just chose the last European race in 2013. Only later I found out that this is not that common for a first 70.3. Perhaps ignorance is a bliss. 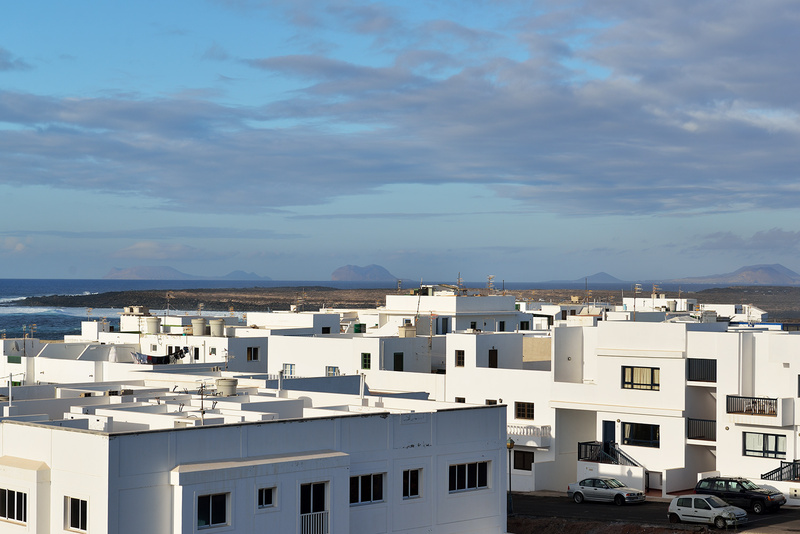 We've arrived in La Santa village on Monday and got surprised that the Club is 3 km away. This fishing village is quite small, with few restaurants, one market store and one very well equipped bike shop. And cyclists. Everywhere. 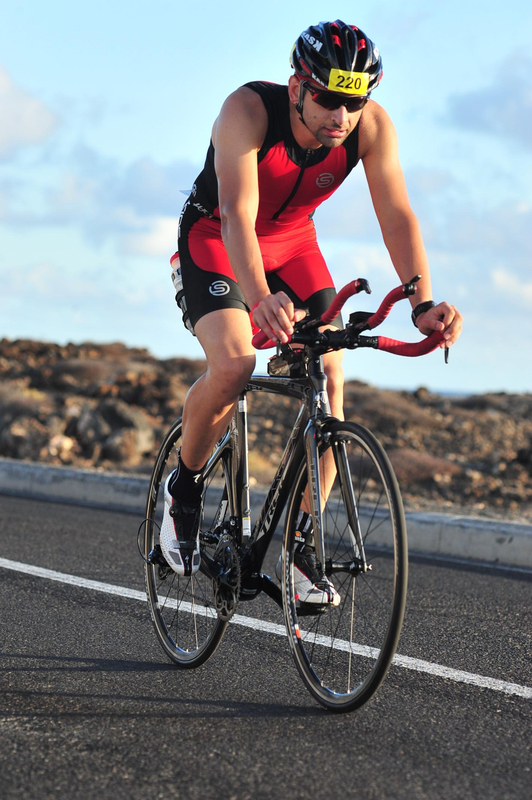 On road, Tri and mountain bikes. That shop is quite busy, surprisingly. I didn't have any specific plans for the week, as I just wanted to get used to the weather. Nevertheless I've managed to do few trainings between Tuesday and Thursday. Nothing that impressive, but it made me feel more comfortable. I had to use the bike service as my rear gear required some work. I really don't like last second changes to my equipment, but I didn't have that much of a choice. In the end gears worked perfectly, smooth as butter! 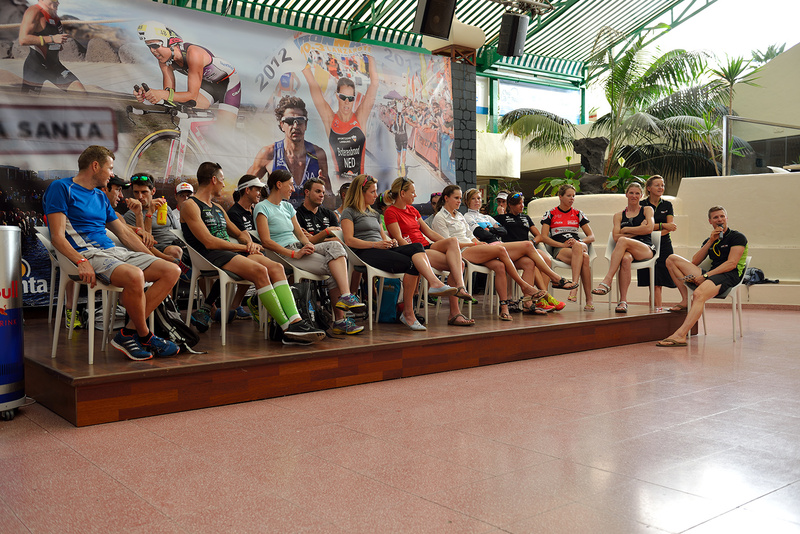 On Friday I started my "triathlon day" with the race briefing. Nothing extraordinary there, just it was mentioned numerous of times that the climb will be a real surprise to newcomers. But in general, nothing above standard stuff like course info, rules, and safety guidance. After that I stayed to see pros talking about preparation and race plans, just small press thingy. 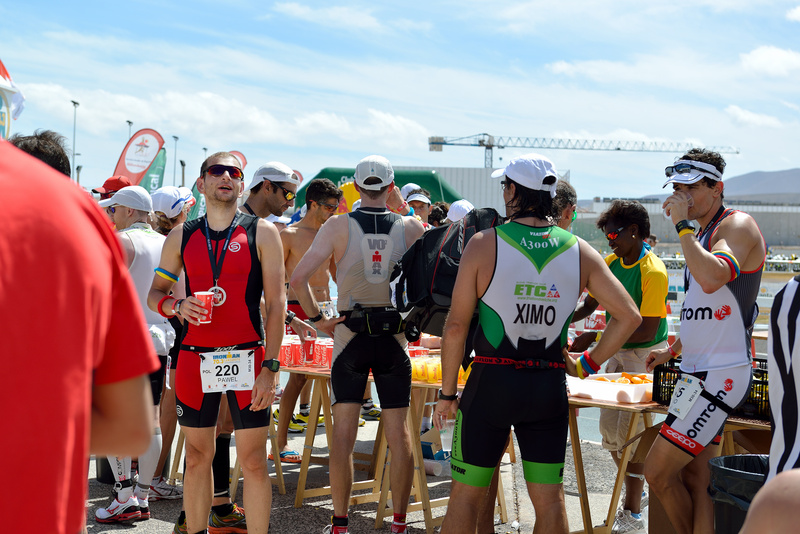 I must admit that I don't follow 70.3 field and I know more about Olympic distance and full IM. Yet, there were two Polish pros and I was quite curious how will they perform. Then I went to set up my transition. OK, this is little bit overstretched, as we couldn't leave anything not attached to the bike. 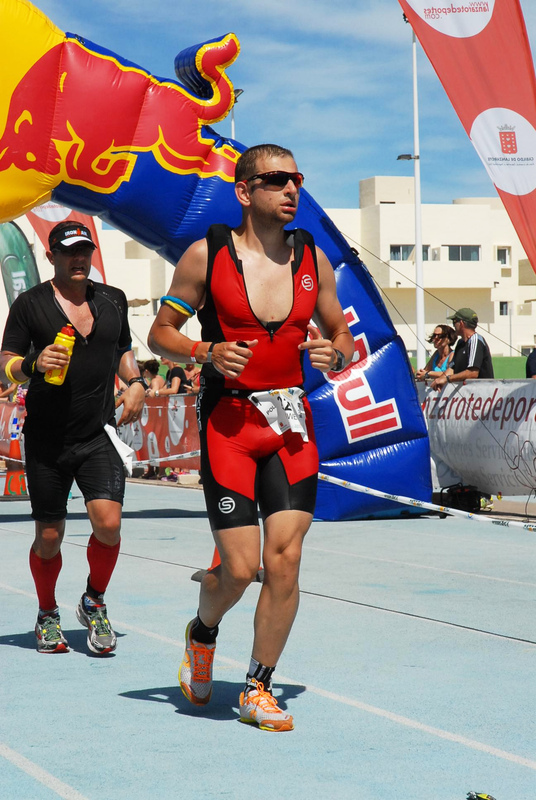 That was my first WTC event, and only third triathlon in general, and so that was little different. I got three bags for my stuff, one for personal items before race, one for swim to bike transition and one for bike to run. I prepared those day before, so I just needed to drop them on the rack (numbered). I came back to the village quite early and went to bed around 10 PM. Not bad. Saturday started around 5 AM. I woke up, ate my muesli with yoghurt, drunk coffee, and went for 3 km walk from the village to the Club. Yet after few minutes some random guy stopped and offered a ride, which I gladly accepted. 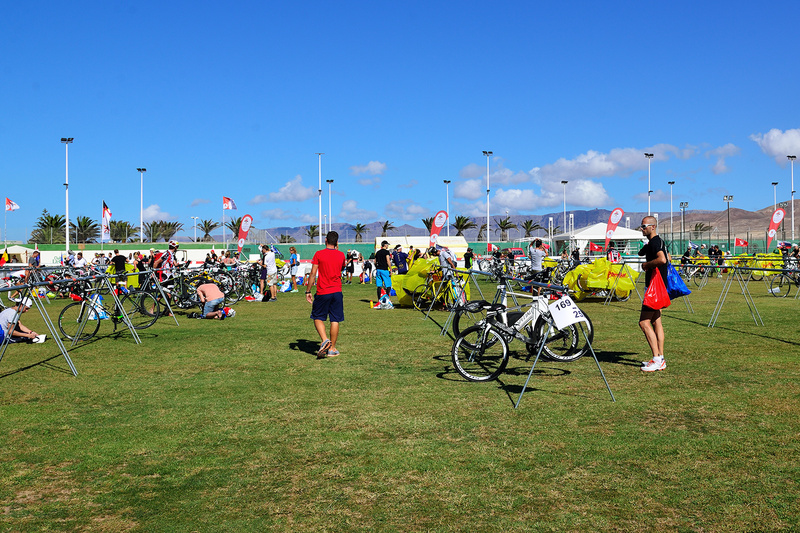 Thanks to it, I was one of the first people in the transition zone. I didn't think about that before, but 6 AM was really dark. I mean "I can't see anything without a flash light" dark. 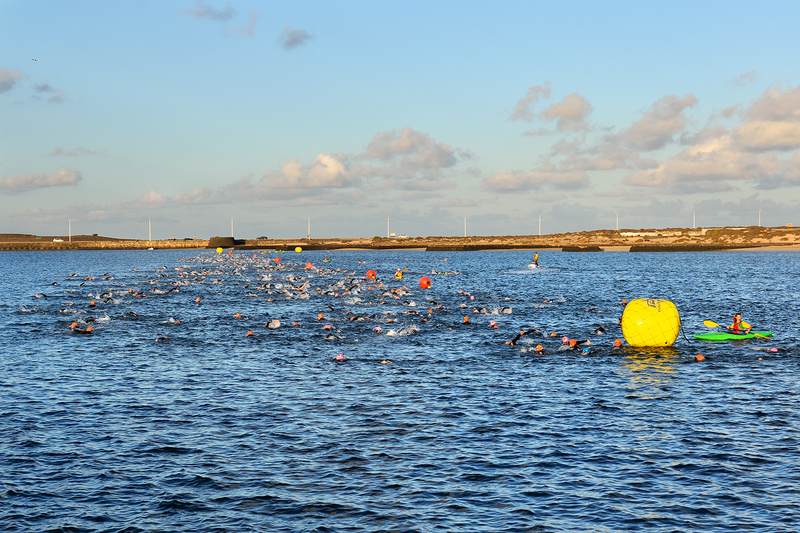 Yet time flies quite fast and before I noticed I was warming up in still calm lagoon. 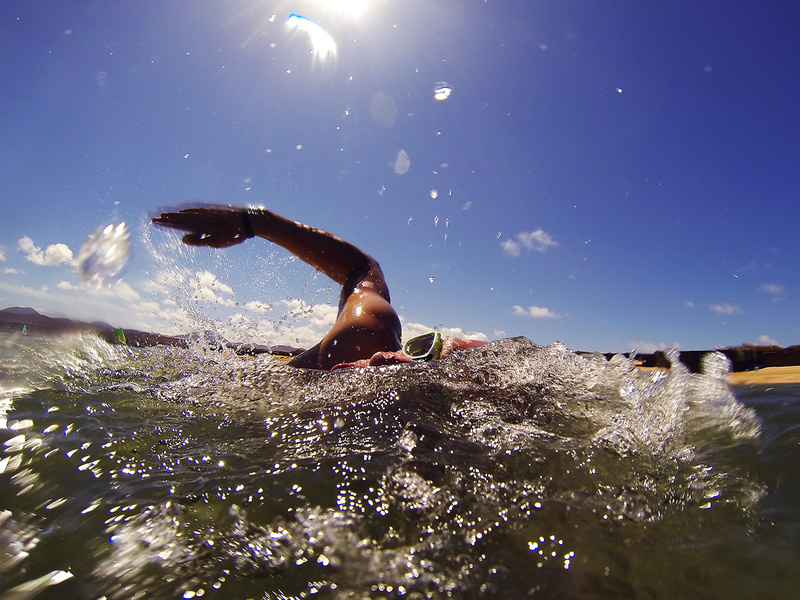 For the first time I was also calm as I feared not the swim at all. OK, I'm not the fastest swimmer (nor the fastest anything for that matter :)) but swimming is where I see the biggest progress. There is still place for improvement and I think that with proper training g I will be able to cut at least 20% of my time, but at least now I'm comfortable with going in the middle of the pack. 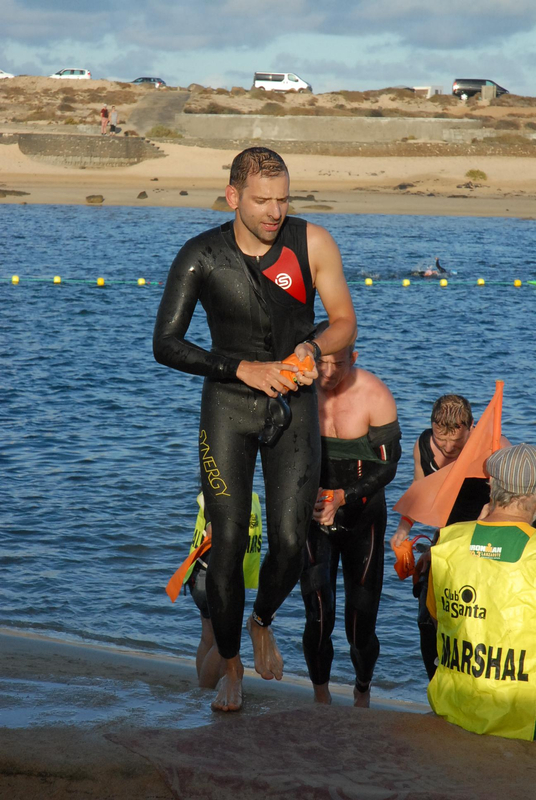 I even got used to the wild conditions of 700 people trying to push though the water, but next time I will go flat out for first 100 meters or so, just to establish better position. I'm also getting faster, not much but still. It took me 35 minutes to do 1.9 km in a wetsuit. That means that my goal of 1km below 17 minutes is getting really close! After longish run from lagoon to transition tent, dipping wetsuit and putting bike shoes (i promise to learn run bike mount for next race!) I was on my bike. Yet this time It was not usual overtaking everyone from start to finish. I think it's because faster swim (so I'm surrounded with faster people in general) together with me trying to respect the distance. It was my first 90km race and first really hilly route. I couldn't go by the speed at all and the only way to pace myself was trying to keep cadence around 85 with HR below 155. Power meter would definitely be handy here :). Anyway, traditionally my Garmin stopped working, as it registered only 75 meters as a T1 with lap button not working. Quick reboot helped, yet I'm still to see it working well from start to finish on the race day (it always works perfectly while training). First 40 km were pretty straightforward - village, road, village, road. And then it begun. Famous turn in Tabayesco marking the beginning of the climb. AT This point I've already felt my legs a little and I had no clue how long the climb actually is. At some point I got to a place that looked like the end of it. Silly. It's true what they said on the briefing - there is a surprise for newcomers. The surprise turned out to be a climb about 3 times the size of whatever was done so far. I said "here we go" to myself and pushed the pedals a little more knowing that after that climb I will break my speed record. By the way, the view is truly breathtaking. Being almost on top and seeing people still far away 500 meters below, in tat clear air and sunny conditions was just purely amazing. Off we went for a descent. Perhaps 70 km/h doesn't sound that fast, but that we my record and it felt great. Little scary, but mostly great :). At some point I thought that getting a puncture right now would be a very, very bad thing. Fortunately, I survived without any problems. Last kilometers of the bike were mostly descending, thus providing much needed rest for legs before the run. I was hoping to finish the bike part in less than 3 hours, but I will have to wait for that achievement a little more. 3 hours 9 minutes was my time and I started to worry about my goal of finishing the race in less than 6 hours. For many reasons I was truly afraid of the run. I had never run half marathon before, my Achilles tendon hurt for few weeks and I didn't know how my legs are going to act after that cycle. Yet I got carried by the crowd and started the run with 4:05 m/km pace. Way too fast for my ability. 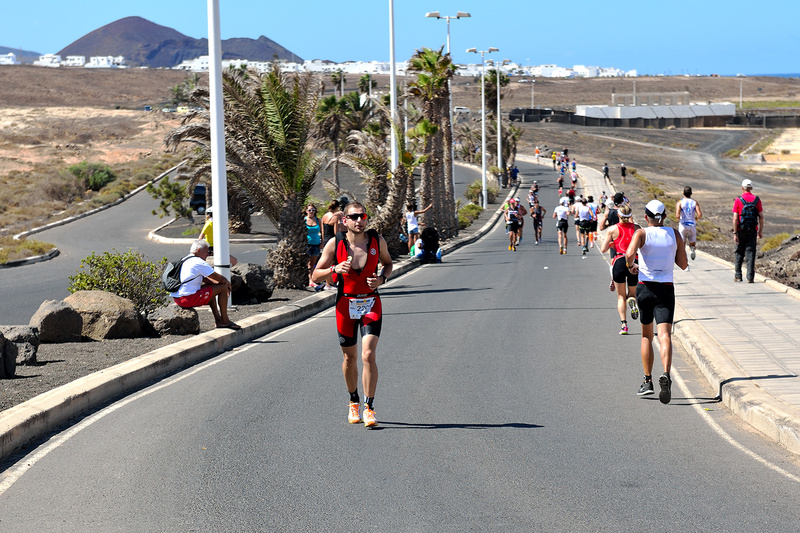 The run was 3 lap course between Club La Santa and the village. There was not a single place without burning sun there and the heat was getting stronger. As I started my first lap, I was passed by few people doing their third. How? I thought that I was quite fast on my bike, and there I was, running slowly and losing time. But after first lap I felt secure. I knew that unless something terrible happens, I would finish the race. On top of that it was still possible to finish before 6 hours mark. On the second and third lap I decided to walk through aid stations and run around 5:20 between them. It turned out to work quite well. I was able to hold around 160 BPM but my legs were barely moving. Yet I've managed to stick to the pace (even speeding up a little at the end) and I entered the stadium with 10 minutes left. 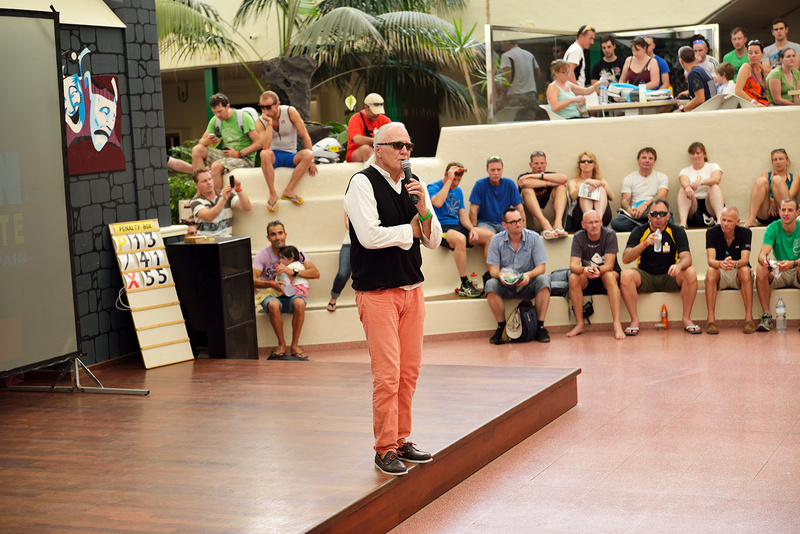 I throw away sponges, zipped up the suit (remember Macca when he won Kona for the first time? :)) and crossed the finish line trying to smile and look fresh. I've finished my first half marathon in 1:55, and the whole race in 5:48. 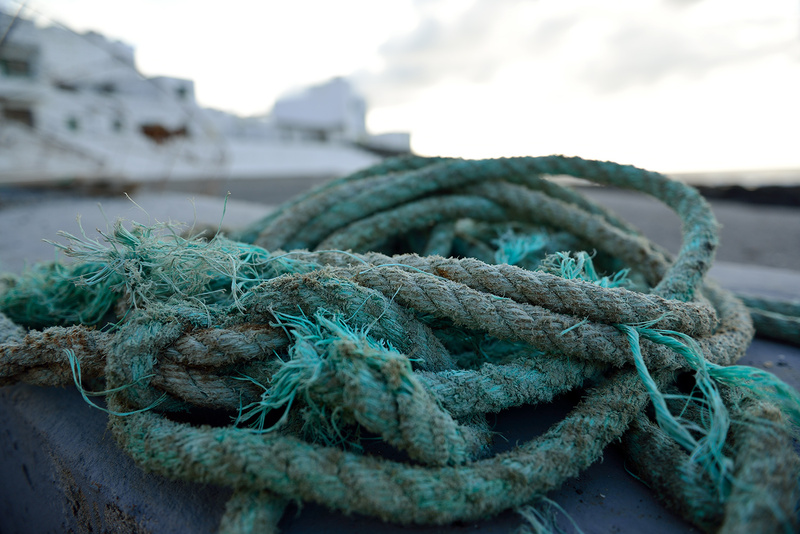 The season is over for now. But soon I will search for new races!